So you have decided that you absolutely need a website. Before you dive in, I would like to share with you ten things you would need to know on how to build a website, in order to ensure the success of your website project. How to Build a Website Item #1. A website address (or URL): Your website address is the location at which customers will find you. Ideally, you will want to use your business name. (www.yourbusinessname.com). If your name is not available, then try using keywords that relate to your business. For example, a lawyer in New York might use www.NewYorkLawyer.com. 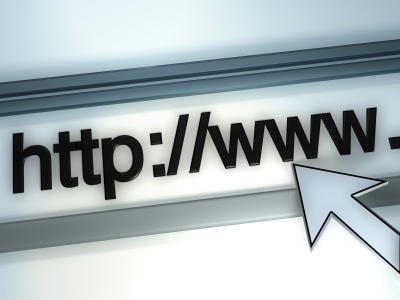 Ensure that your web address is easy to remember. If your web address is something that is commonly misspelled, be sure to purchase the URL for the misspelling of the address as well. How to Build a Website Item #2. Web hosting: In order for your files to be live on the internet, you will need a web host. A website is comprised of files, and a web host is able to make those files live on the internet by hosting them on a web server. Look for a web host that provides 24-hour support. How to Build a Website Item #3. A website plan: You need a plan before getting started. It’s important to understand the goal of your website and your expectations in order to get there. Trust me it, it will save you a lot of time and money. Read the articles How to Write a Web Site Marketing Plan and Key Elements of a Successful Information Website. How to Build a Website Item #4. Logo: Do you have a business logo? If you don’t, it’s time to make one. A logo is one of the ways to brand your business, and should be used on all of your marketing materials so your customers will recognize it. Read our articles on creating a logo. How to Build a Website Item #5. Images: Images help to tell a story as well as help you communicate with your target market. You can either use stock images or your own images. If you are a photographer, wedding planner, interior designer, or are in a visual industry, you’ll want to use your own images. If not, you’ll want to select stock images that will powerfully relay your message. How to Build a Website Item #6. Sell your products and services/communicate your message. Be search engine friendly by including keywords that are relevant to your business. If you are a bakery in Boston, and your prospect is searching for “bakery in Boston,” keyword rich web content will help these prospects find your site. A professional copywriter can write content that both communicates your message and is search engine friendly. How to Build a Website Item #7. Professional website design: What would a website be without a beautiful design? There are many designers to choose from. However, not all website designers are created equal. Pay attention to the web designer’s portfolio to review the professionalism of their work. In addition, see how helpful they are in answering your questions and giving you the information you need to make a well informed decision. How to Build a Website Item #8. Content Management System: If you plan on updating information to your website on a regular basis, then you will need a content management system that allows you to make changes to your website on your own, without having to go back to the designer. Most businesses out there won’t need a CMS, but if you are a large online retailer or have ambitious growth plans, then considering a CMS might be a good idea. It will make your website updates much easier and more streamlined. How to Build a Website Item #9. Blog: Blogs are an amazing way to build a long-term relationship with your prospects and customers. Blogs are truly interactive and are updated frequently, so it gives you a great forum for interacting with the very people that will buy your products and services. It’s also a great way to build your list for frequent email communications. If you are interested in starting a dialogue with your target market then adding a blog to your website is a great idea. It’s also a great tool that will help bolster your search engine optimization efforts. How to Build a Website Item #10. Commitment to marketing: If you build it, they won’t necessarily come- unless you commit yourself to marketing. It’s important to build it well, stay committed to keeping the information accurate, and know that marketing is going to be of utmost importance if you want your site to generate leads and bring results to your business. Why Doesn’t My Small Business Website Sell?